Sorrowful Land are a band from Ukraine that plays an atmospheric form of funeral doom/death metal and this is a review of their 2016 album "Of Ruins" which was released by Solitude Productions. Clean guitars start off the album before going into a heavier and atmospheric direction and the riffs also use a great amount of depressive melodies along with a great amount of 90's influences and whispers can also be heard at times and after awhile death metal growls start to make their presence known. Spoken word parts can also be heard at times along with all of the tracks are very long and epic in length and some songs also bring in a small amount of high pitched screams which also gives the music a touch of black metal and the songs also bring in atmospheric synths and the guitr leads are done in a very melodic fashion and all of the songs stick to a very slow musical direction. 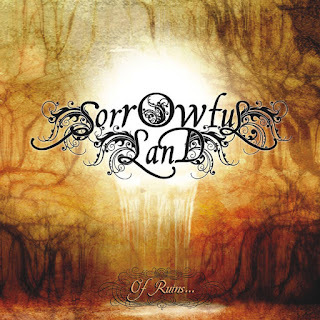 Sorrowful Land plays a style of funeral doom/death metal that is very slow, atmospheric, dark and melodic sounding, the production sounds very professional while the lyrics are based upon 19th century English poetry. 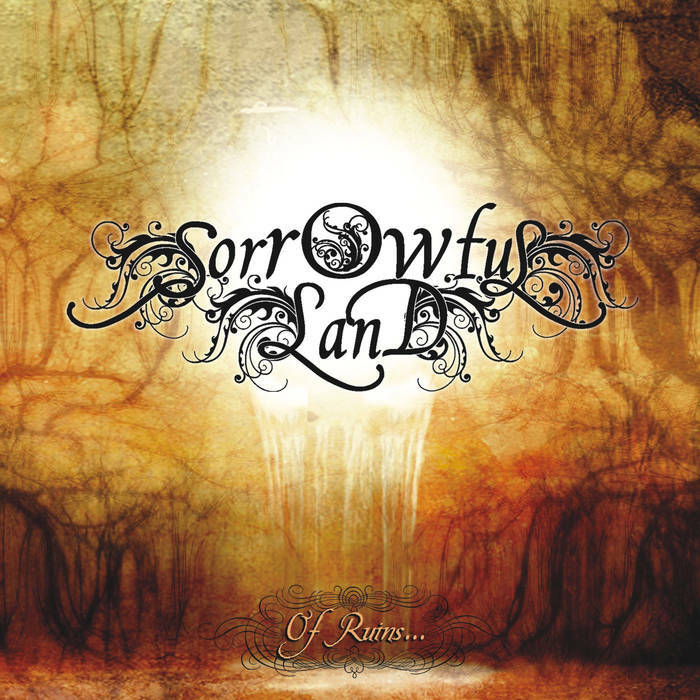 In my opinion Sorrowful Land are a very great sounding atmospheric funeral doom/death metal band and if you are a fan of this musical genre, you should check out this recording. RECOMMENDED TRACKS INCLUDE "On Another's Sorrow" and "Echoes Of Endless Space". 8 out of 10.